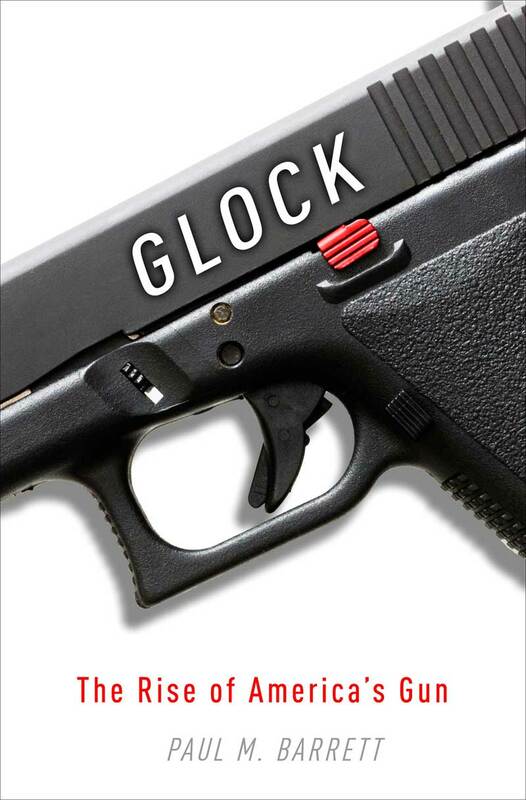 Based on fifteen years of research, Glock is the riveting story of the weapon that has become known as American’s gun. Today the Glock pistol has been embraced by two-thirds of all U.S. police departments, glamorized in countless Hollywood movies, and featured as a ubiquitous presence on prime-time TV. It has been rhapsodized by hip-hop artists, and coveted by cops and crooks alike. Filled with corporate intrigue, political maneuvering, Hollywood glitz, bloody shoot-outs—and an attempt on Gaston Glock’s life by a former lieutenant—Glock is at once the inside account of how Glock the company went about marketing its pistol to police agencies and later the public, as well as a compelling chronicle of the evolution of gun culture in America. Easy. Just leave ONE comment on this post. Don’t reply to anyone. More than one comment will disqualify you. In this case the comment can’t be rude. Use a valid email address so I can contact you if you win. Your email address will not be used for anything else but notifying you of a win. I’ll generate a random number at random.org and that corresponding comment number wins a book that day. You can only win one book. It will be shipped to you once the contest is over from my contact at Random House. Thank you for the opportunity. I carry a Glock 27, and would love to have a copy of the book. Come on random number generator! Looks like an interesting read. I’ll get this book in my hands one way or another. I don’t have a GLOCK. When I do get one, it will be a 20. 10MM all the way baby. Count me in to the contest! Sounds like a superb book. Sounds great! Here is to hoping. I’ve had my Glock since 2005. Would love to win the book. Would love a copy. Im a big glock fan! AS a Glock fan, I’m looking forward to reading this book. Keeping my fingers crossed! Not a Glock owner personally, need to shoot one. This is an awesome giveaway! I’m going to repost to my readers. I LOVE THIS STUFF !!! Just found your site.. Love it! Me! Me! I want it! Common lucky whatever number i am! The glock lineup of weapons have carved out a nice niche in firearm history. Love the handgun (21) , it’s a fine shooting .45. Glad to see a book out about Mr. Glock’s reinvention of the handgun. In it to win it!!! Hope to win a book! Haven’t tried a Glock yet. But there’s always tomorrow. Here’s a girl that would love to learn more about guns and this book would certainly be a valuable resource (besides, I want a Glock someday) ! Thanks! I just want this book! I love Glocks. I book addict… I need book! I’d love to win a copy of this book! Thanks for the chance!! Thanks for the contest. Gaston is the man! What a terrific contest. Thanks for the opportunity.